A Man of Steel skin based on Superman’s appearance in the new movie and General Zod himself are coming to Injustice: Gods Among Us. Zod was long rumored to have been the final DLC character for NetherRealm’s Injustice: Gods Among Us and it certainly looks as though those rumors were very true. The only thing throwing things off a bit is the glimpse of Justice League mainstay Martian Manhunter at the end of the last DLC character Scorpion’s trailer. Is there another set of downloadable characters in the works? Possibly, but for now it looks like we get to rampage through DC’s alternate universe as Zod. This is definitely a new look for the character and I’m thinking he kind of looks like an amalgam between Terrance Stamp and Michael Shannon… only bald. Not to bad and he actually says “kneel before Zod”, which is just great. 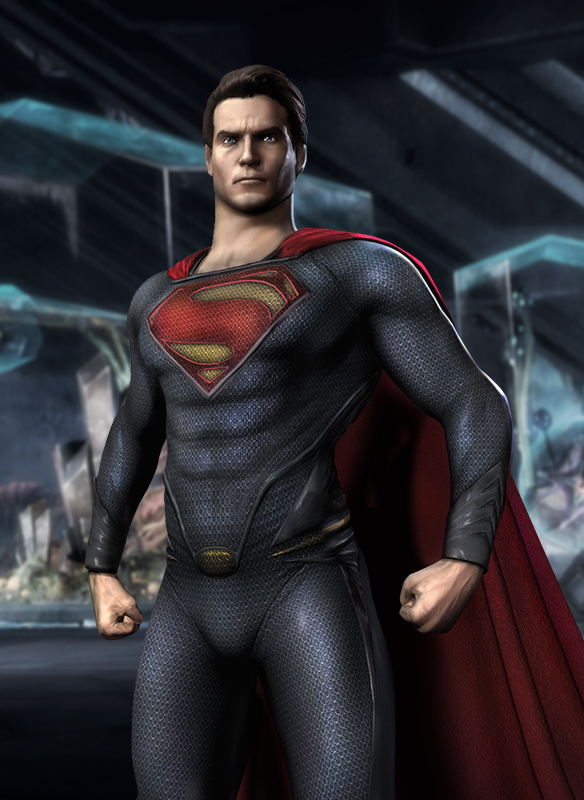 The Man of Steel skin is also pretty cool and looks exactly like the suit worn by Superman in the new film. If you don’t have the ‘new 52’ suit, this makes a pretty nice substitute. Zod will be available on Xbox Live and the PSN this July for 400 MS points and $4.99 USD respectively. You can grab the new costume for Supes around the same time for only 80 MS points on Live or $.99 on the PlayStation Network. Wii U fans can keep waiting I guess. The movies, music and television of the '80s are Jessica's obsession. She's a fan of almost everything from the 'me decade' including (but not limited to) Barbie, Jem, She-Ra, Ms Pac-Man and neon print anything.